I was recently involved with setting up a Gitlab pipeline. Imagine this, you still have the usual Gitlab Runner connected to your repository, but instead of running the jobs in a VM, the Gitlab Runner talks to a Kubernetes cluster and spins up the job there instead! You already have a pre-existing Gitlab Runner running on some machine and you just want add the cluster as another executor. There’s a possibility that you might be using other executors in the future so you’d like to keep your setup as flexible as possible and not be locked in with your runner inside a cluster. For the recreation, we aren’t going to use any cloud provider specific magic so you should be able to migrate this setup with whatever infrastructure you currently have. To kick things off, let’s spin up a Kubernetes Cluster using GKE. We’ll just leave all settings to default except the name. 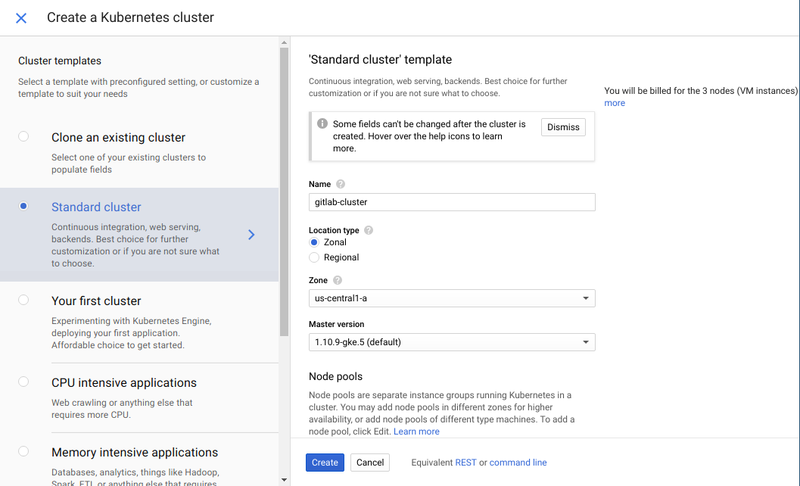 Don’t forget to configure your kubectl to the cluster once it is up and running! Where [USER ACCOUNT] is the email you are using for GCP. You can find more about RBAC for GKE here. 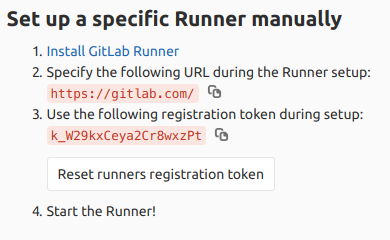 The next few steps involves getting some cluster related information that is needed when we setup the Gitlab Runner later. The CA Certificate is required since we’ll be calling the API over HTTPS and the TLS certificate associated with the endpoints is self-signed by the cluster. You can tweak the settings by altering the values.yaml file. Don’t forget to adjust the SERVICE_ACCOUNT_NAME to what you used during the role creation step. Have fun with your shiny new pipeline!